Sodium bicarbonate is also known as baking soda, bicarbonate of soda and sodium hydrogencarbonate and is a common ingredient in many household products used daily. Best known for its ability to remove odors, baking soda is present in many laundry products and cleaners. Sodium bicarbonate is considered safe to use in households with children and small animals. Sodium bicarbonate is a common ingredient in toothpaste. Sodium bicarbonate is a common ingredient in many whitening toothpastes. This ingredient is often combined with peroxide in toothpastes to clean and whiten teeth. 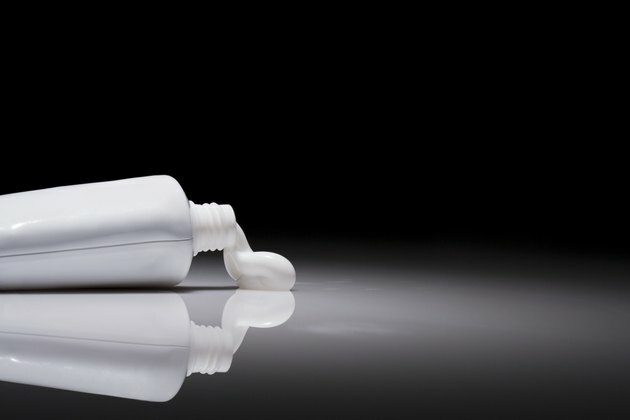 Toothpastes made with sodium bicarbonate are considered nontoxic, according to the U.S. Department of Health and Human Services. In toothpastes, sodium bicarbonate may be irritating to the eyes but will not cause adverse effects if ingested during normal use. Sodium bicarbonate is also an active ingredient in a variety of toothpastes for dogs. A variety of household deodorizers contain sodium bicarbonate. This product is the active ingredient in many refrigerator deodorizers. Placing sodium bicarbonate inside your refrigerator eliminates odors and keeps it smelling fresh. In carpet cleaners, sodium bicarbonate removes odors and stains and is safe to use, only causing mild irritation if dusts from cleaners are inhaled. Several automatic dishwasher detergents have sodium bicarbonate listed as an active ingredient. These products clean and remove food from dishes and deodorize the inside of automatic dishwashers. A variety of laundry detergents contain sodium bicarbonate to remove odors, stains and brighten whites. 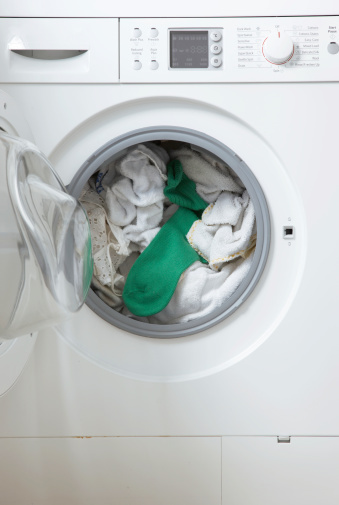 Laundry boosters also contain this ingredient to remove stubborn stains and odors. Antiperspirants often contain sodium bicarbonate to reduce excessive moisture and reduce odors. When combined with aluminum chloride, sodium bicarbonate works to reduce moisture stains and body odor. Talcum powder often contains sodium bicarbonate, especially those formulated for infants and small children. When placed in talcum powder, sodium bicarbonate helps keep skin dry and causes skin to be less prone to rashes when exposed to moisture, making it useful to new mothers who powder their children after diaper changes.